Spring is almost here. That means warmer temperatures, beautiful blooms and longer days. 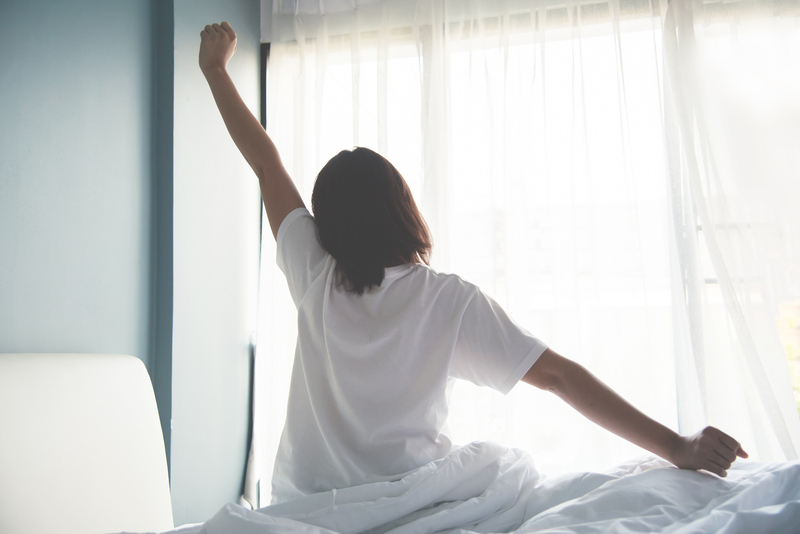 A good night’s sleep helps you start your morning strong and enjoy better focus and sharper attention, as well as maintaining a healthier weight, less stress and have more energy. Below are a few home items that can help you get a good night’s sleep. Insulated blackout curtains: : Insulated blackout curtains have a back, which blocks the light from your bedroom, and the insulation keeps hot or cool air where it belongs. So, both your body and your energy bill benefit. White noise machine: These devices are ideal for people who don’t like absolute quiet or are looking to cover those distracting things that go bump in the night. Available sounds include falling rain, ceiling fans, ocean waves, digital blips and more. Diffusers: Combine distilled water and your preferred calming essential oil to create a peaceful room to help send you to sleep. Stop drinking at least three hours before bedtime. This gives your body enough time to process the liquids and keeps you from waking multiple times and breaking up REM sleep. Unplug from the “blue light.” Electronics like televisions, smartphones and tablets emit an artificial blue light, which delays the body’s production of melatonin, the sleep hormone. Try reading a physical book to wind down instead. Set a schedule. Going to sleep and waking up at the same time each day—even on weekends helps in the quest for good sleep.